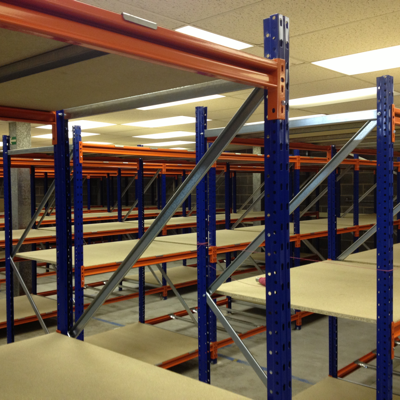 Fixing bolts Archives - Shelving & Racking Ltd.
Our QuickSpan range of new longspan shelving is always extremely popular due to its strength, versatility, ease of assembly and availability. We have huge quantities in stock which means we can dispatch orders in as little as 2-3 working days. Upright frames are available from 2000mm – 5000mm high and 400mm – 1200mm deep, with horizontal beams ranging from 950mm to 2700mm in length. With this range of sizes we can accommodate all types of hand loaded items, with shelving suitable for everywhere from a small garage to a full scale distribution centre. Shelves have a load capacity of 430kg – 1075kg UDL, depending on the beam length, and we can supply both chipboard (with support bars) and steel shelves to suit. All frames are supplied assembled, with fixing bolts and levelling plates included as standard. Two beam locks are included with every beam. Whatever your new longspan shelving requirements are, get in touch with us now and we can give you as much guidance as you need to find the right solution for your workplace. Call us on 0800 612 3210 or use the enquiry form to send us as much information as you have. We deliver to any UK mainland address, so whether you are in Carlisle, Lincoln, Stoke, Portsmouth we can deliver to you quickly and for a great price. 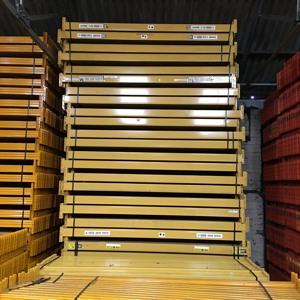 We specialise in used pallet racking and always have huge stocks of leading manufacturers such as Dexion, Link 51, Redirack and Apex. 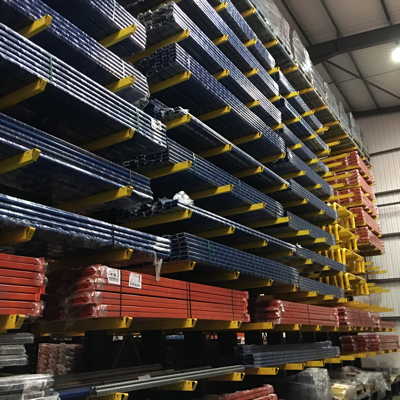 However we can also supply an extensive range of accessories to complete your pallet racking installation or to replace damaged warehouse racking components. We have pallet racking protection such as column guards and barriers available for quick dispatch and all are supplied with fixing bolts as standard. Timber decking, wire mesh decking and pallet support bars are also in stock, along with beam locks, levelling plates (shims) and row spacers. Small items can be sent by courier in as little as 24 hours and other stock items are usually delivered in 3-5 working days, so whether you are in Edinburgh, London, Cardiff, Hull, Chester or anywhere else in the UK mainland we can get the racking accessories you need delivered to you quickly and at a great price. Call us now on 0800 612 3210 or use the enquiry form to send us a message and we will reply to you quickly. 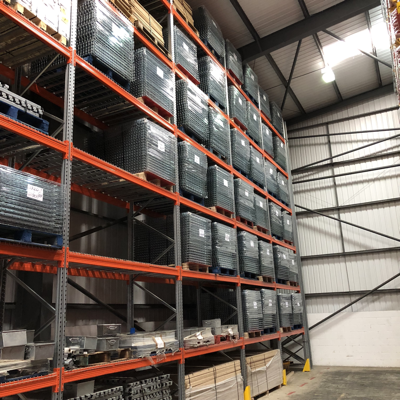 As is usually the case at this time of year, lots of you are increasing your storage capacity and we have great stocks of new and used pallet racking racking to help you do so. We are getting deliveries out as quickly as we can and we still have space on some vehicles leaving in the next couple of weeks. If you need warehouse racking or industrial shelving and you are in Manchester, Bradford, Derbyshire, Essex, Coventry or Swindon get your order in now and we will do our best to accommodate you with a great delivered price. Our wagons are going across the UK on a daily basis, so wherever you are we can help you with your pallet racking or storage needs. We have great availability of Link 51 and Dexion Speedlock pallet racking, as well as other leading manufacturers such as Redirack, PSS and Apex. We all stock large quantities of racking accessories and can deliver column guards, decking, fixing bolts and beam locks to you in as little as 2 days. Whatever your racking or shelving needs, please call us on 0800 612 3210 or send us an enquiry and we will do all we can to help you get the best storage solution for your business.